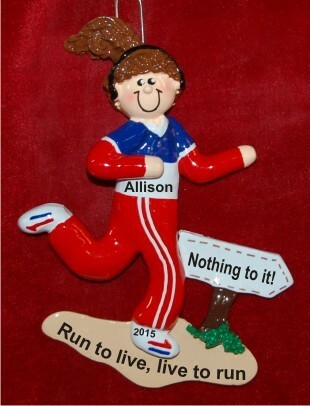 New Winter 2018: Here’s a fun way to cheer on an avid runner on your shopping list, a running ornament personalized just for her. The live to run run to live girl personalized ornament features a smiling runner in full stride on her way to fitness and success. 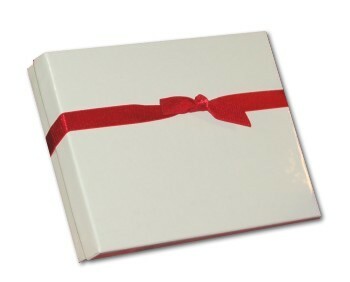 This is a personalized sports ornament, so we customize it with the information you provide. It is painted on by hand in a pretty font to create a personalized running ornament that is one of a kind. Available in a male runner too, the female runner personalized Christmas ornament includes a display cord and velvet gift pouch from Russell Rhodes. Enter up to 26 characters.